The other day I had a brainstorm and thought I’d hook up my iPad to my EVH 5150III Micro Stack. The results were pretty impressive! Using a Free App (which is upgradable for a small fee, unlocking extra cool features) I was able to run high quality effects and amplifier modelling into the Micro Stack. Instead of just enjoying this tone for myself, I thought I’d shoot a video and share it all with you. And that’s it! You be the judge, kinda cool!!!! 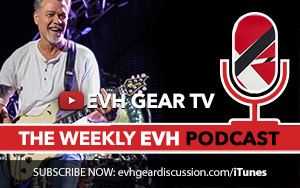 Get your EVH 5150 Micro Stack HERE!